At least one hundred (100) days in advance of the annual meeting, the Executive Committee shall prepare for approval a slate of nominees for all elected officers of the Society and for replacement of those Members-at-Large of the Executive Committee whose term of office will end at the annual meeting. Additional nominations, if sponsored by at least fifteen (15) members, may be made by petition to the honorary Secretary of the Society at least one hundred (100) days in advance of the annual meeting provided that such petition include the name of the nominee, the office for which nominated, nominees’ written consent to serve if elected, and the signatures of the fifteen (15) sponsors. At least sixty (60) days prior to the annual meeting, the honorary Secretary shall report the recommendations of the Executive Committee and all other nominations received by petition in a format suitable for balloting. All Full Members in good standing shall be eligible to vote. Each member who desires to vote shall complete and send the ballot according to the instructions given at least thirty (30) days prior to the annual meeting. If there has been more than one nominee for an office, the President shall, in the case of a postal ballot, appoint two tellers to open and count all ballots received by the honorary Secretary; this counting shall be conducted prior to the annual meeting. Elections shall be by simple majority. The honorary Secretary shall announce the results of the balloting at the annual meeting, and the new officers and members-at-large of the Executive Committee shall assume office immediately thereafter. Members of the Society shall be individuals or companies who have demonstrated by their activities and professional contributions a clear interest in the medical, life sciences, or human factors aspects of the undersea environment and/or hyperbaric oxygen therapy. Prospective members shall, as a minimum requirement, be graduates with training or experience in the medical or life sciences. Waivers of this requirement will be granted where an applicant´s special contributions or accomplishments appear to warrant such action. Each applicant for Society membership shall submit an application in writing, stating his name, address, education, experience, place of employment, and (for full and undergraduate members) names with contact info of two (2) Society members who could support this application. This Application Form shall be easily accessible through the EUBS website, and shall clearly explain the various categories of membership, their rights and duties, and the membership fee. The application shall be forwarded by the honorary Secretary to the Executive Committee. Applicants shall be notified of approval of their application by the Executive Committee or if five members of the Executive Committee without having a formal meeting agree, and membership in the Society shall be conferred upon payment of one year’s annual dues to the honorary Treasurer of the Society. Full Members: Full Members will have voting rights, will benefit from a reduced registration rate at the annual scientific meeting, and from all other membership privileges, such as: subscription to the scientific journal, internet access to the “members only” pages of the EUBS website, and, as part of (current and/or future) affiliations with other scientific societies in the same or related areas of interest, may benefit from reduced membership or attendance fees for said societies. Undergraduate Members: Undergraduate Members of the Society shall be students registered at a university or equivalent educational institution, pursuing a course of studies in medical, life sciences or human factors engineering faculties. They will have the same benefits as Full Members (except voting rights), but will benefit from a reduced membership fee. Corporate Members: Corporate Members are companies, societies or hyperbaric centres that wish to support EUBS by contributing a corporate membership fee. 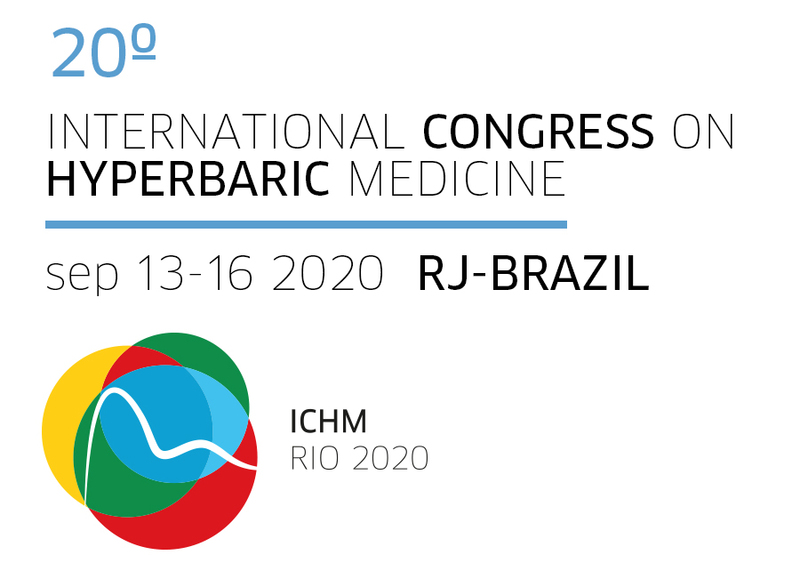 As a recognition of their support, a permanent web-link will be placed on the EUBS website (in the separate “Corporate Members” page) and they will be formally recognised on screen during the annual scientific meeting and with a mention and logo in the Annual Scientific Meeting Abstract and Proceedings Book. Corporate membership fee will include two memberships (membership type depending on the category of the selected persons) and a free choice of their two beneficiaries for the reduced registration rate at the Annual Meeting. Associate Members: Associate Members do not need to be active in the medical or scientific field of diving or hyperbaric medicine. They will receive the scientific journal but have no other membership benefits. On the other hand, their membership application is not subject to prior approval by the EUBS Executive Committee. Honorary Members. The Executive Committee is empowered to elect a limited number of Honorary Members. These can include emeritus members (retired persons after 10 years’ membership). Honorary Members should apply each year for renewal of their membership, which must be approved by the Executive Committee. The Society recognises the value of formal affiliation with other organisations whose purposes are consistent with those of Article II of the Constitution of this Society. The Executive Committee of the Society shall have the authority to negotiate agreements for affiliation with such other organisations. The Executive Committee shall have a least one regular meeting each year, at the time and location chosen by the President. A special meeting of the Executive Committee may also be called by the President at a time and a place designated by him. These meetings may take place using electronic means (phone conference, video conferencing, web conferencing), or in person. A special meeting of the Executive Committee shall be called by the honorary Secretary upon the written request of three (3) members of the Executive Committee. At any duly convened meeting of the Executive Committee four (4) members shall constitute a quorum. President. The President shall be the chief executive officer of the Society and preside at all meetings of it and of the Executive Committee. Vice President. The Vice-President will assist the President in executing the scientific and business affairs of the Society. In the event that the President is absent or unable to act, the Vice-President shall serve as President for such period. The Vice-President is also the President-Elect. Honorary Secretary. The honorary Secretary shall perform such duties as are customary to his office: will maintain the membership records of the Society, will prepare minutes of meetings, and will report to the membership on such matters as nominations, elections, proposed dues change, and proposed amendments to the Constitution as prescribed in these Bylaws. Honorary Treasurer. The honorary Treasurer shall be the custodian of the funds of the Society and shall be responsible for the collection of membership dues, for the maintenance and the periodic reporting of financial records, and for the disbursement of monies. Liaison Committee: This committee shall be tasked to establish and maintain contacts with other organisations (Affiliate and others), and to advise the Executive Committee of matters arising from these contacts. Programme Committee. This committee shall be responsible for choosing the subjects for presentation and discussion at the scientific meetings of the Society, and for selecting the speakers for such meetings and for supervising the conduct of these scientific programmes. Publications Committee. This committee shall advise on the publication of the proceedings of the scientific meetings of the Society as well as other papers or documents according to the objectives. Other Committees. The Executive Committee may create special committees or such other committees as he may deem necessary with such membership and for such periods of time as he may consider appropriate. The President may invite members of committees other than the Executive Committee to report at a specific meeting of the Executive Committee. The Financial Year for the EUBS shall run from January 1st till December 31st of each calendar year. Dues for members of the Society shall be proposed by the Executive Committee and approved by the membership during the Annual General Assembly. Approval shall be by a simple majority of those members present and voting on such a change of dues. Dues will be payable annually on the date of expiration of membership. If dues have not been paid one month after expiration of membership, the person shall no longer be a member in good standing and will automatically be removed from membership of the Society. The Society can use its funds for the realisation of Objectives as defined in the Constitution, for enhancing the Society, for the organisation of the scientific meetings of the Society, for awards to Society members for their scientific achievements, for support of scientific research of Society members in the form of grants, for publication of the scientific journal of the Society, for developing and maintaining of the Society website, for operational costs of the Society and for support of other Charities or Societies when compatible with EUBS Objectives. 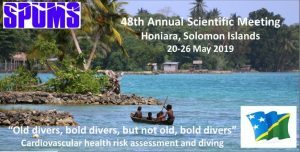 The Society will, by agreement, publish a journal jointly by the EUBS and the South Pacific Underwater Medicine Society. This agreement will be defined by a written contract between both Societies. The President of the EUBS, acting on behalf of the Executive Committee, will sign additional written contracts, amongst others a contract between the Societies and the Journal Editor. Financial matters regarding to the production and distribution of the Journal will be discussed in the Executive Committee, but may be delegated to a separate Journal Governance Committee, of which the members are designated by the Executive Committee, if both Societies so desire. Each EUBS member category benefits, by definition, from a subscription to the Journal. In the event of the lawful dissolution of the Society, following the payment of all just debts and obligations of the Society, the Executive Committee shall designate one or more charitable organisations having objectives similar to this Society to receive the remaining assets of the Society. Amendments to these Bylaws may be proposed by the Executive Committee or by petition of any fifteen (15) members presented to the Executive Committee at least one hundred (100) days before the annual meeting. All proposed amendments shall be distributed to the membership by the Secretary at least sixty (60) days before the annual meeting with or without recommendations of the Executive Committee. Voting shall be by postal or secure internet ballot and such ballots must be posted to the Secretary at least thirty (30) days before the annual meeting. The approval of at least two-thirds of the members of the Society who vote upon the proposed amendment shall be necessary for its passage. No amendment shall be made to the Bylaws which shall cause the Society to cease to be a Charity-at-law. Constitution and Bylaws modified by the General Assembly of the European Underwater and Baromedical Society, in 2016.